Ken Sellers was born on March 6, 1937, in San Diego, California. He was commissioned a 2d Lt in the U.S. Air Force through the Air Force ROTC program on June 7, 1959, and went on active duty beginning July 16, 1959. Lt Sellers next completed pilot training and was awarded his pilot wings at Webb AFB, Texas, in October 1960, and then completed B-47 Stratojet Combat Crew Training in July 1961. His first assignment was as a B-47 pilot with the 40th and 50th Bomb Wings at Forbes AFB, Kansas, from August 1961 to September 1964, followed by service with the 529th Bomb Squadron at Plattsburg AFB, New York, from September 1964 to December 1965. Capt Sellers completed C-124 Globemaster II transition training in March 1966, and then served as a C-124 pilot with the 17th Military Airlift Squadron at Charleston AFB, South Carolina, from March to November 1966. After completing O-1 Bird Dog transition training, he served as an O-1 and O-2 Milirole forward air controller with the 21st Tactical Air Support Squadron at Nha Trang AB, South Vietnam, from December 1966 to September 1969, during which time he flew 968 combat missions. 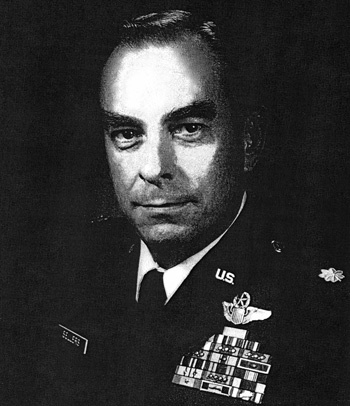 Maj Sellers next served as the O-1/O-2/U-10 Courier Operations Training Monitor with the 1st Special Operations Wing at Eglin AFB, Florida, from October 1969 to September 1972, followed by service as OIC of the O-2 Branch with the 26th Tactical Reconnaissance Wing (later redesignated the 86th Tactical Fighter Wing) at Ramstein AB, West Germany, from September 1972 to July 1973. 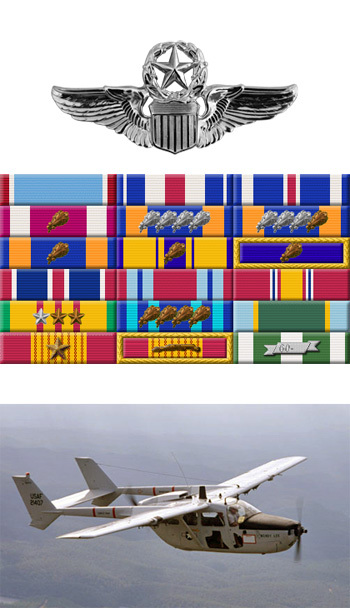 His next assignment was as an operations staff officer with Headquarters U.S. Air Forces in Europe at Ramstein AB from July 1973 to September 1976, and then with Headquarters U.S. Air Force at the Pentagon from September 1976 until his retirement from the Air Force on December 31, 1981. The President of the United States of America, authorized by Title 10, Section 8742, United States Code, awards the Air Force Cross to Captain Kenneth H. Sellers for extraordinary heroism in military operations against an opposing armed force as a Forward Air Controller at Nha Trang, Republic of Vietnam, on 30 January 1968. On that date, in conjunction with the Tet Offensive, a large, well-equipped hostile force entered the city, intent on overrunning military installations and releasing a large contingent of hostile captives contained in the local prison. The hostiles' entrenched positions prevented reinforcements from reaching the battle areas where friendly forces were in dire need of support. Captain Sellers, despite great personal risk from heavy machine gun and automatic weapons fire, repeatedly attacked hostile positions in an O-2 aircraft armed with high explosive rockets. He systematically silenced three machine gun positions and neutralized two fortified hostile companies, thereby preventing the annihilation of beleaguered friendly units. Through his extraordinary heroism, superb airmanship, and aggressiveness, Captain Sellers reflected the highest credit upon himself and the United States Air Force.